We are into the luscious time of summer when the tomatoes are coming on, zucchini is bountiful, and local blueberries, blackberries and peaches are waiting to be picked or bought from nearby growers. All are tasty in their raw state, but the fruits beg to be used in muffins, pies, tarts and cobblers. To beat the summer heat, I have been baking early in the morning or late at night and then use our attic fan to pull cooler air into the house. I’ve never been a fan of two-crusted pies. The fruit should take center-stage, not the crust. 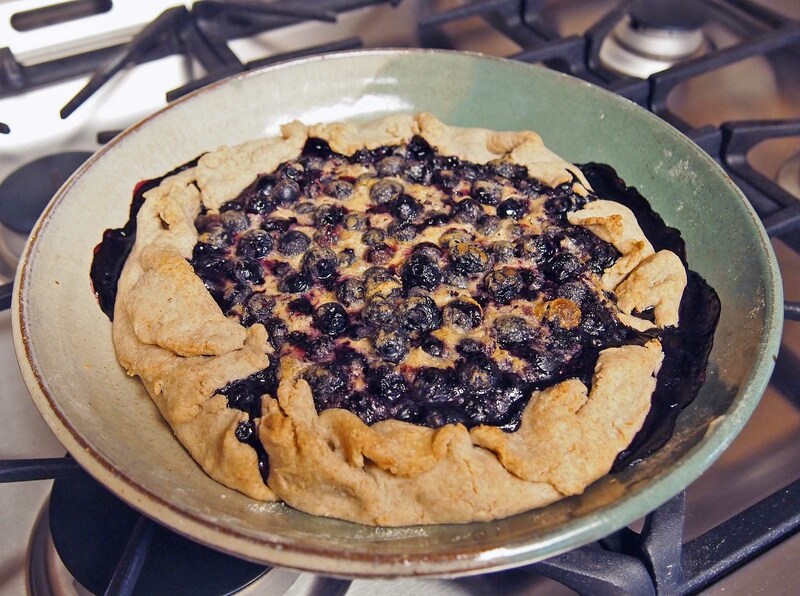 A rustic tart is a fun way to create a tasty, quick one-crust dessert. I decided to play with a filling recipe that I have been using for years and below is the result. Also included is a butter-based, food processor crust. The original pie crust recipe calls for 8 tablespoons of butter (one stick), but I have reduced that to 6 tablespoons. You may have to add another tablespoon of water on low humidity days, but otherwise, the crust has a good, crisp texture. One caution: do not over-process, which is easy to do. As with all recipes, experience will make you a master. 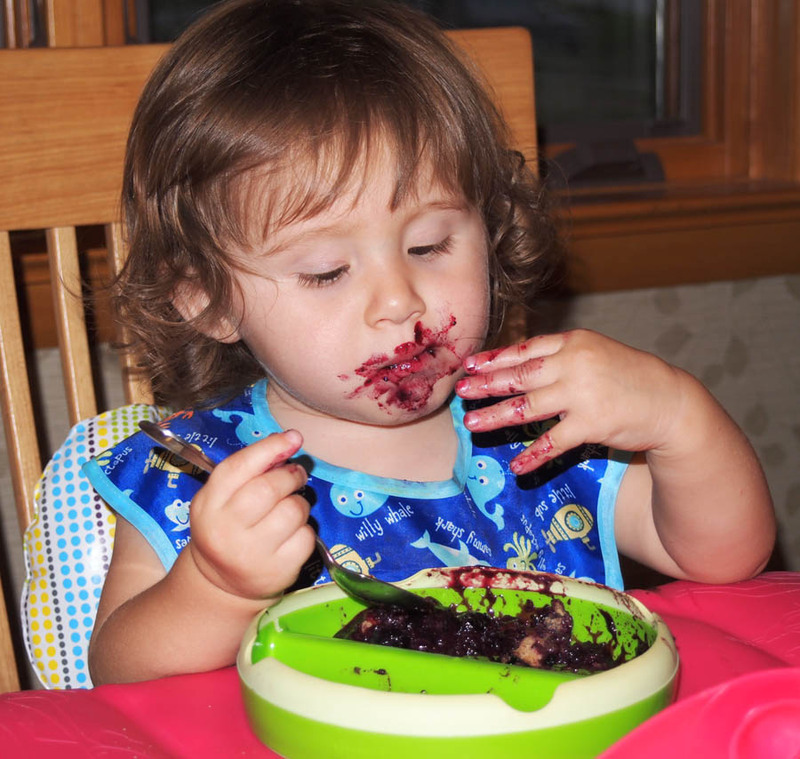 Chef Deb’s granddaughter, Analise, obviously enjoys her job as pie taster. In a food processor, mix the flour, salt and spice of choice. Cut the butter into 6 pieces and add to bowl. Process with the pulse speed until the mixture is the texture of coarse cornmeal. It is OK if you can see pieces of butter. With the processor running, add the water in a thin stream pulsing towards the end so you don’t over process the dough. The dough is done when you see clumps forming. Remove the dough from the work bowl and press it together and pat into a flattened round. Roll on a lightly floured surface to a 9-10” circle. Lay the crust out in a shallow bowl or pie pan. Pour the fruit into the crust. “Hug” the crust around the fruit by gathering up the crust to form a shell. This is a rustic presentation, so perfection is not the goal. Drizzle the filling over the fruit evenly. Put into oven for 10 minutes, then reduce the heat to 350° and bake for 30 to 35 minutes. The filling should be bubbling evenly across the top. Combine first four ingredients. Just before you pour the filling over the fruit, beat in the egg. This is to avoid curdling of the egg.